Summer has hit British Columbia with a vengeance. The heat and sun is here, and with the quintessential summer weather comes the anticipation of weekend adventures, exploration, and fun with friends and family. Finding the perfect summer vehicle that’s perfect for summer driving is all about comfort, connectivity, speed, and style. Let’s take a look into this deeper. We’ll be illustrating our candidates for the perfect summer driving vehicle from the GM family of automobiles – from the highway, to the city, to the backcountry, we’ve got you covered. Called the Perfect Driving Machine for good reason, the 2018 Corvette Stingray is force of nature, oozing with true American style, sound, speed – and even practicality. The Corvette family brought back the iconic Stingray badge to pay homage to the Corvettes of the 60’s and 70’s, and the result is a beautifully sleek sports car that’s earned the reputation as user-friendly, powerful vehicle that’s perfectly suited to BC’s curvy mountain roads and coastal cruises. 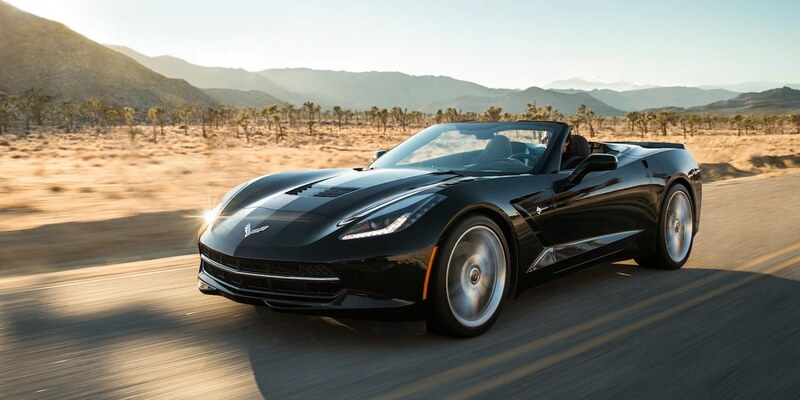 Equipped with a 6.2L V8 developing 460 horsepower and 465 lb/ft of torque connected to a 7-speed manual transmission, the Corvette Stingray reaches 100km/hr in under 4 seconds, and features an innovative reconfigurable instrument cluster, and modern driver-friendly tech like active handling stability control, lightweight aluminum frame, bi-xenon headlamps, and 4-wheel anti-lock disc brakes – so drivers can tailor their summer drives however they prefer. But it’s not all savage power and speed – the 2018 Corvette Stingray also boasts some impressive fuel efficiency numbers of a combined 13 L/100km – easily beating its competition, namely the BMW M3, Audi TT RS and Porsche 718 Boxster S (which all have smaller engines). Towing some toys? Headed to the lake? Packing the families’ gear for a long weekend away? The All Terrain Sierra has got you covered. The GMC Sierra All Terrain package is all about exploring – and conquering – the road less travelled. 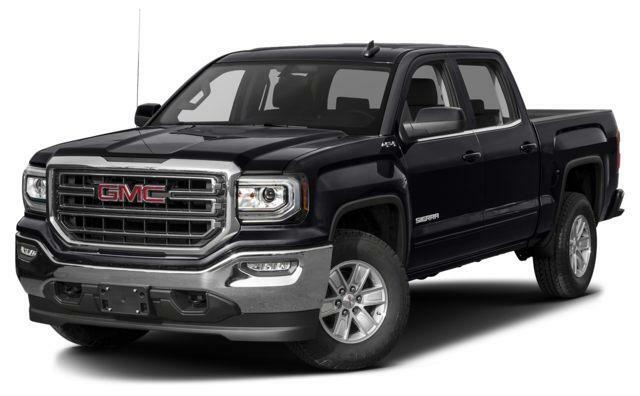 Equipped with a standard 5.3L EcoTec3 V8 engine making 355 horsepower and 383 lb/ft of torque, the All Terrain package is unique from the base Sierra 1500 for its extra-mile features that make an already capable truck into the ‘unstoppable’ realm. The All Terrain package includes some impressive of-road hardware, like Z71 Off road suspension with monotube Rancho shock absorbers, protective underbody skid plates, 18” Goodyear Wrangler DuraTrac tires, hill descent control, and an innovative off-road inclinometer – further the All Terrain package also includes an Autotrac 4X4 transfer case, and a high capacity air filter to round out its 4X4 system. Being a rugged trailblazer isn’t fun without including some creature comforts for the road before the blacktop ends. The All Terrain package also includes a premium interior with customized home screen, intuitive voice commands, and BLuetooth connectivity. The All Terrain comes with the ultra slick 4G LTE WiFi connectivity for up to 7 mobile gadgets, and an intuitive navigation system that helps you get to our destination easily. Got the fate of the environment on your hands, but don’t want to sacrifice the range and convenience of a traditional gasoline-powered vehicle? 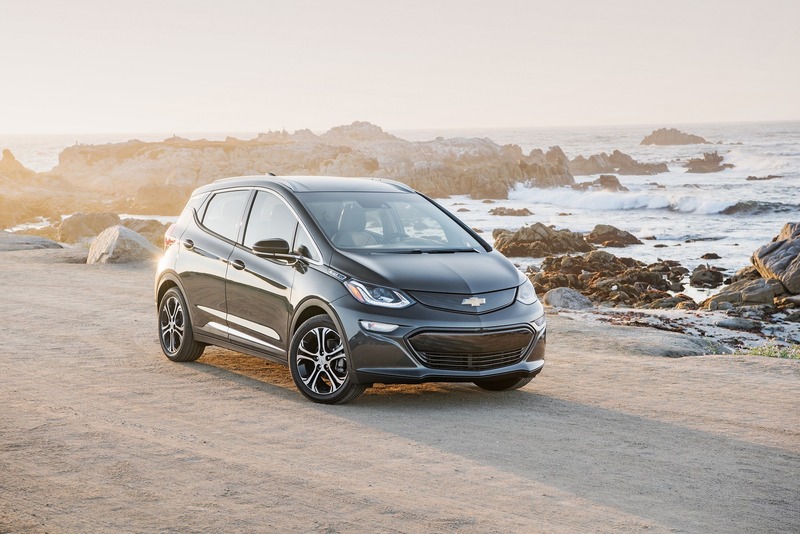 The 2018 Chevrolet Bolt EV (electric vehicle) is the perfect answer for the Eco-friendly explorer. With a maximum range of 383 kilometers of range, the Bolt EV is the most technologically advanced and affordable EV on the market today. The Bolt gets its extended range courtesy of its 240-volt/32 amp charging unit that provides about 144 km in about 30 minutes of charge time, while using the same DC Fast Charging stations that are available for public use. That battery packs a serious punch, too! The Bolt EV reaches 100km/hr in nearly the same time a sporty Mazda MX-5 Miata. A natural head-turner, the Bolt is a stunning creature – with practical space and a handsome, sculpted exterior, it uses aerodynamics and a flat underbody to maximize airflow and reduce drag. It’s also practical, boasting an impressive 56.6 cubic feet of maximum storage space with the seats folded down. And useful EV tech like the tech-savvy driver information centre lets drivers know everything they need to know about their remaining range, available power, and average electricity consumption; the 10.2 inch tablet-size display also connects drivers to all the state-of-the-art infotainment systems you know and love, like Apple Carplay and Android Auto. Finally, the $7500 federal tax credit that comes with the purchase of an electric vehicle in Canada makes the Bolt a wise financial decision that’s destined to change the world. Classic cool, cloud-like ride quality, and premium luxury – need more convincing? 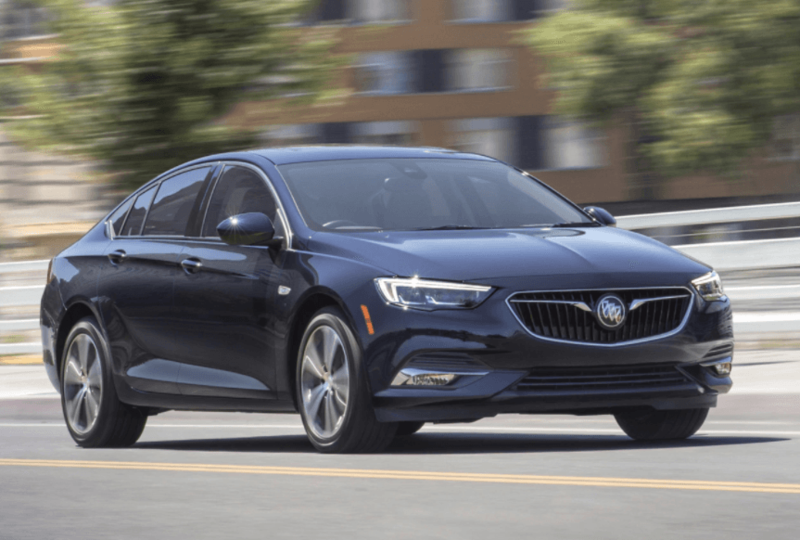 The long list of comforts and features that make the all-new 2018 Buick Regal Sportback the sensation it is are part of a long history of customer-satisfaction and a dedication to luxury presented by one of GM’s oldest brands. The Sportback is unique in that it combines performance and practicality in a cloak of luxury, hearkening Buick’s reputation as a major competitor to Cadillac, Lexus, and even the big German 3 (BMW, Mercedes, Audi). The Sportback rear end itself is unique in that it allows drivers access to a pseudo hatchback and all its utility, while leaving streamline sedan body lines for an executive look and feel that’s deceptively accommodating. Pack your skis, your paddleboard, camping gear, or supplies for a killer picnic in the back, and take advantage of the zen-like ride all the way to your destination. Speaking of hitting the road, the Regal Sportback isn’t just a pretty, useful face – it also boasts 310 horsepower of neck-snapping speed in the GS model – a trait not typically reserved for Buick’s. It’s athletic body hides a potent and sporty 3.6L V6 engine, with available all-wheel-drive and Active Twin Clutch technology. Couple that performance with the available 7-speaker premium audio system and available 4G LTE WiFi hot spot, and you’ve got a road trip champion with speed, comfort, and distinct urban style on your hands. Whatever you summer road trip plans are, any one of these unique and stunning summer vehicles have one thing in common – they’ll get you where you want to go with style, practicality, and fun in mind. Happy summer driving!